Robert Neill, of Upper Nisbet Farm, near Jedburgh, is used to being in the limelight. He was the Farmers Weekly Farmer of the Year in 2017, having already won Mixed Farmer of the Year in the same competition and beating off fourteen other finalists. All eyes will be upon him when he steps into the main arena at this year’s Northumberland County Show as Robert Neill must select the ultimate winner from a line-up of champion livestock in the Grand Parade, choosing from the stars of the Cattle, Sheep, Heavy Horse and Alpaca Sections. Robert welcomes many visitors to his farm, and as a past Director of The Royal Highland Educational Trust (RHET), he regularly hosts school visits to help children understand where their food comes from and gain knowledge about farming and the countryside. There are so many visits that he has a 24-seat transport trailer fitted with seats and seat belts to tow young visitors around the farm in safety. Robert is an active NFU member and facilitates discussion groups to help promote best practice and raising farming issues with legislators. 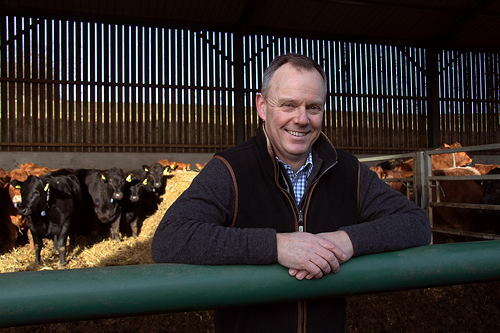 He has recently been appointed Chair of AgriScot; the huge one day industry event held every November at Ingliston near Edinburgh. “The event used to be for dairy farmers but now it brings together all aspects of agriculture with over two hundred and fifty trade stands, seminars and events. Every square metre is full.” Robert told us. It was this additional commitment to the wider community, and his promotion of all that is great about British farming, that led the judges at the Farmer’s Weekly awards to select him as the Farmer of the Year. Are You a Shepherd or Shepherdess of the Future?